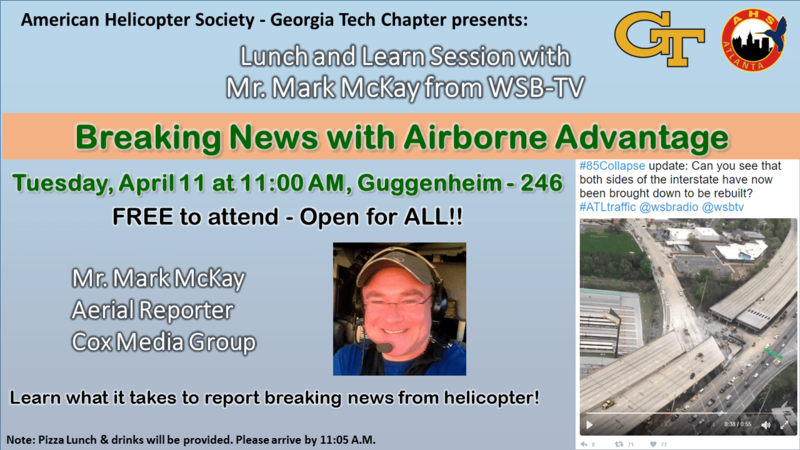 Come to learn more about how helicopters shape the way we have access to information in real time with this experienced reporter. The event is free to attend and is opened to all, and will be held in Guggenheim 246. Pizza Lunch & drinks will be provided! See you there!